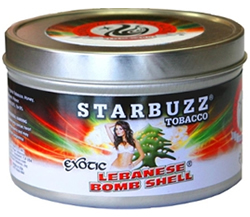 Starbuzz Lebanese Bombshell | HookahRev.com | Hookah, Simplified. Completely unique to the hookah flavor world. WARNING! Too intense for mainstream.